The Episcopal Church is part of God’s One, Holy, Catholic and Apostolic Church in the whole World! 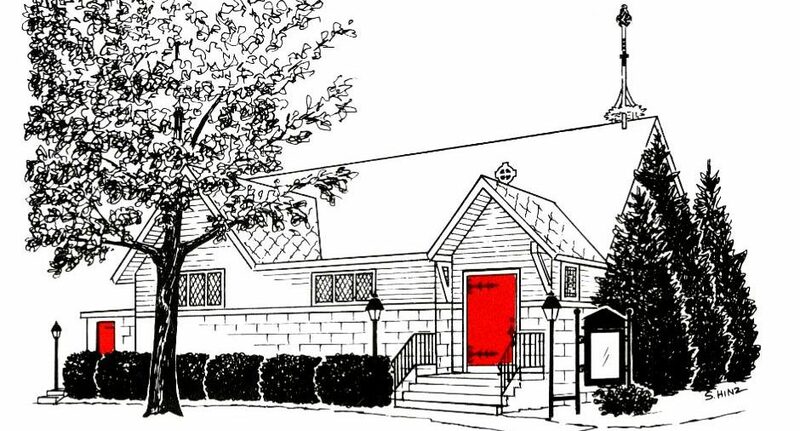 The name of our church comes from the Greek word Episcopos which means “bishop” or “overseer.” The leaders of our church are called bishops and we are called Episcopalians. All Episcopalians have bishops. Three important things show us the way to understand our God and our world. The Bible – We believe that God and God’s people can speak to us through the Bible. All the things we need for a good life are in there. Our Tradition – We are a church with many old stories. Some of these stories connect us to Jesus and the things he taught us. Some of the stories help us understand what other people think about God and Jesus. Thinking – The Episcopal Church does not have a human-made set of rules for being God’s people. We believe that in our life with God we should use our minds-we should think about the Bible, tradition and our own experience. The church is not a building where people go to worship God. The church is all of God’s people. God’s people work in the world to help other people know about God’s love for all people. All of God’s people do God’s work. Some people are chosen to be leaders in the church. These people receive special training and education. They are “ordained.” This means they have been chosen by God and by the church to lead. They are called deacons, priests, and bishops. Other people do God’s work every day in everything they do. They are baptized. This means that they are part of God’s great family that we call the church. Many decisions in the Episcopal Church are made by a system of elections done by people elected to represent others. The leadership of the church is organized in a way that comes from our tradition. There is one bishop who is the leader of the whole Episcopal Church. This Presiding Bishop leads and serves the church. He does not command the church. There are bishops who lead the dioceses of the church. A “diocese” is a geographical area, like a state or a county. Each diocese has at least one bishop. A diocese has many member churches. They are called parishes or missions. The priest who leads a parish is called the rector; a priest who leads a mission is called the vicar. The council of people who make decisions for a parish is called the vestry. With the rector, these people take care of the business of the church. Each diocese has a convention that does the business of the diocese. The clergy and other elected church members make decisions at these conventions. Every three years, there is a national General Convention. At this convention, elected representatives from each diocese meet to make decisions for the whole of the Episcopal Church. The Book of Common Prayer belongs to everyone in the Episcopal Church. In this book you will find the words for the many different ways that Episcopalians worship God. Some of the worship services are used every day, like Morning Prayer and the Holy Eucharist. There are other worship services that are used for special times, like weddings and funerals. Also, you will find prayers written there. There is a prayer for almost any situation in the Book of Common Prayer. There is even a section of songs called Psalms. Psalms are songs used by God’s people for thousands of years to give God worship and praise. The Book of Common Prayer is at the center of the Episcopal Church as a church that worships God. You can find this book in any Episcopal Church, no matter where you go!